Home 2017 May 28 What do I stand for? An important issue that I feel very strongly about is that women should have full control and rights to her body, meaning that every woman should have rights to whether they want an abortion or not. It’s an issue that I think about a lot because people always say that it’s cruel to abort a baby and to think about the baby but what about the life of the woman. There is more that plays into abortion and not enough people asks woman enough about their well-being when they are under pregnancy and deciding to do abortion. It’s not just about aborting a fetus but it’s also about the woman and her circumstance. Women don’t abort for the sake of aborting, they do it for reasons whether its financial circumstance or the environment their living in. 75% of woman who chose abortion in 2014 were poor or low-income. Many people argue on the opposing side that aborting a child is considered murder. However, the moment you decide to take away a women’s right to an abortion your doing more hurt than help. Babies and kids should come into this world wanted. If the kids are just born into the world unwanted, who’s to say that they all will get adopted? Not only that but adoption centers will get full and those kids will have to be put through the pain of being put in family to family. Kids should be wanted when they are born, we should treasure them instead of throwing them into this world and expected everything will be okay. What do I stand for? by Nuong is licensed under a Creative Commons Attribution-ShareAlike 4.0 International License. I also agree that women should be able to do what they feel is right with their bodies whether that means abortion or other decisions. I think it is really awesome that you were willing write about such a big topic. Many people have very strong views towards this topic and your choice to express your opinion is very inspirational. I found your topic very interesting, thank you. Nuong, I very much agree with the subject of your argument, and I hope to eventually read more about what you feel on the subject. I think it would be fruitful as well to go into some statistics and facts about life as it forms, consciousness, and the importance of the health of the mother. You may even touch on the dislike for Planned Parenthood throughout America, as this is such a hot topic these days. I suggest looking at their website (https://www.plannedparenthood.org) to see what their aim is in the organization, and how they treat and follow up with their patients. It would be a bit of a tangent, but I think it would be worth mentioning the fact that Planned Parenthood isn’t just an abortion clinic, but also a place to find regular medical checkups, examinations, and even mammograms for those who may not perhaps be able to afford them elsewhere. I agree with some of the things you have written in this paragraph.It it true that women should be able to what’s happening to their bodies.But some people have different views it’s good that you have this platform to express your opinion. Many people debate and dwindle on the topic of abortion. 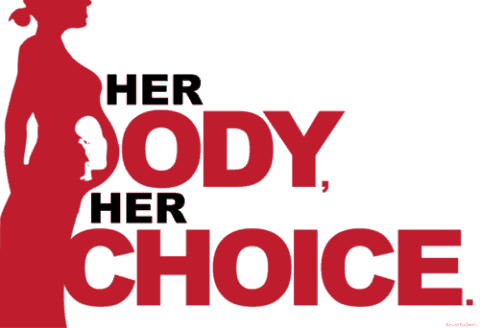 I don’t support it in anyway, but I do believe that women have the right to choose what happens to their body. I am not saying that abortion is a good thing, because taking the life of a baby is not right, but what I am trying to express is that if a woman feels that aborting the child is what she needs to do then she deserves to do what she feels is best.